The colour is light straw - yellow tending to pale green. Its crystal clarity is laced with a persistent perlage of minute bubbles. 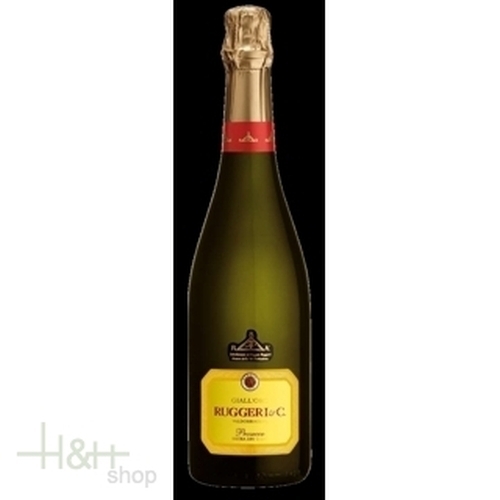 The bouquet, although persistent and intensely fruity, is extremely delicate which brings mature golden apples and acacia flowers readily to mind. It is gently sweet and fresh on the palate and pleasantly light in alcohol, extremely smooth and well-balanced with long and fruity finish. With its great versatility, Giall'Oro can be enjoyed equally well as an aperitif or to enhance the close of a meal. Indeed, this is a wine that can brighten up any hour of the day. Grape Varieties: Prosecco, with small quantities of Verdiso and Perera. Geographical Location: Within the delimited D.O.C. production zone, on the hills of the first Dolomitic ridges in the northern part of the Province of Treviso. Harvest Period: late September to mid-October. Pressure behind the cork: 5 atm.